The Macy's store in San Francisco's Union Square, considered by some as a landmark in the city, is shrinking its space. The company is downsizing its floor space after devouring real estate for decades. Macy's flagship store isn't going anywhere, but the marble building next door, purchased decades ago, will change hands. Many shoppers swallowed the news with a slight hint of sadness in their voice. "Macy’s has been around since I was a little kid," said Jessie Pettway, a Macy’s regular. "So to see them condensing, and more online than normal, it kind of breaks my heart a bit." Mayor Mark Farrell expressed similar sentiments. "I grew up going down to Union Square, and Macy’s was always a part of that experience," Farrell said. Macy’s didn’t offer a date, but the right-turn on retail strategy has long since arrived. "The vast majority of sales in America still occur at brick and mortar stores," said Jim Lazarus of the San Francisco Chamber of Commerce. "It’s just not as much, and the trend, clearly, is going toward more online sales." Lazarus says that’s forced retail behemoths like Macy’s to manage a sweet spot of tighter floor space and more online sales. 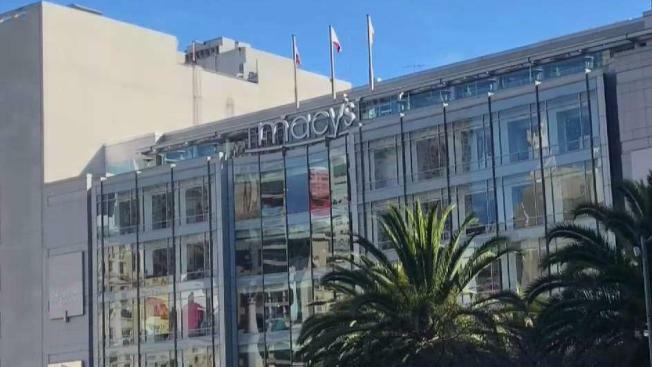 Macy’s says, even after the downsizing, its remaining 700,000-square-foot flagship store will still be the biggest in the Bay Area. And loyal shoppers like Gretchen Rogers aren’t running for the door. "I’d rather see the merchandise, touch the merchandise versus buying online," she said. Meanwhile, Macy’s stock soared Tuesday on its fourth-quarter earnings. The stock closed at $28.40, up 3.5 percent.